Welcome to Justin and Stuart's world of "Wild Foragers" where the kingdom of fungi, mushrooms and nature’s wild bounty will be revealed. Read our Blog, or Follow us on facebook. Or to really experience the world of wild mushrooms and foraged fungi join us on our fungi forays into the 16,000 acres of mixed woodland at Cowdray Estate in West Sussex. 1.) 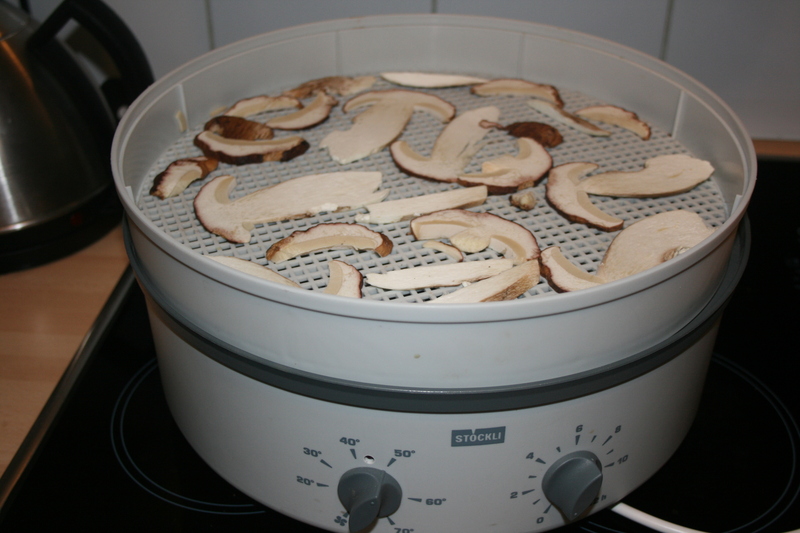 For smaller mushrooms such as:- Winter Chanterelles, Girolles, Horn of plenty, Amethyst Deceivers, St Georges, Morels, Wood ears, Orange Peel Fungus these can all be dried whole and placed directly onto the cake tray or Dehydrator. 2.) 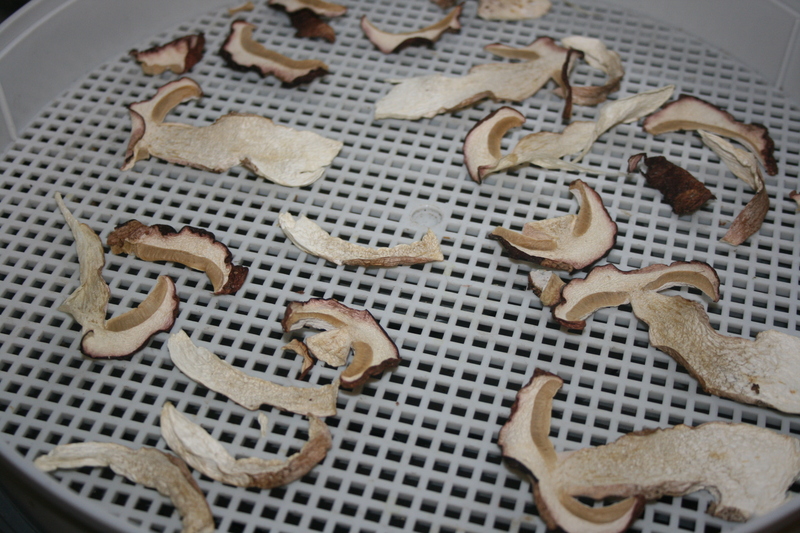 For larger mushrooms such as:- Hedgehog Fungus, Safron Milk Caps, Cauliflower Fungus, Blewits these can be torn or sliced ready to go on your chosen dryer. 3.) 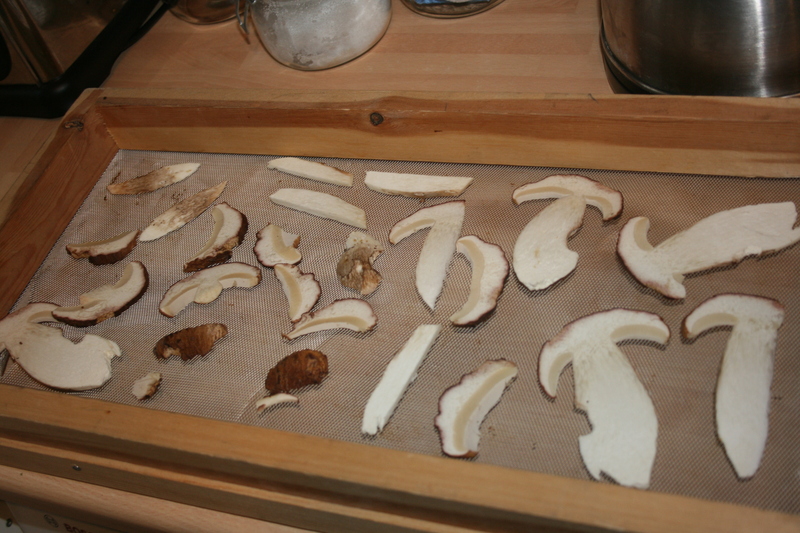 Champagne cork boletes will need to be sliced the stem can be attached. 4.) 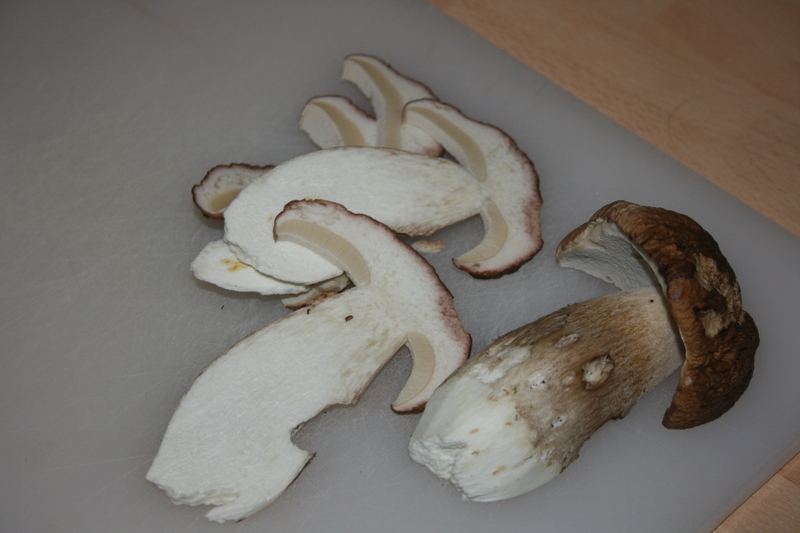 For much larger mushrooms i.e Bolete family its best to remove the stem form the cap and slice both individually. 5.) 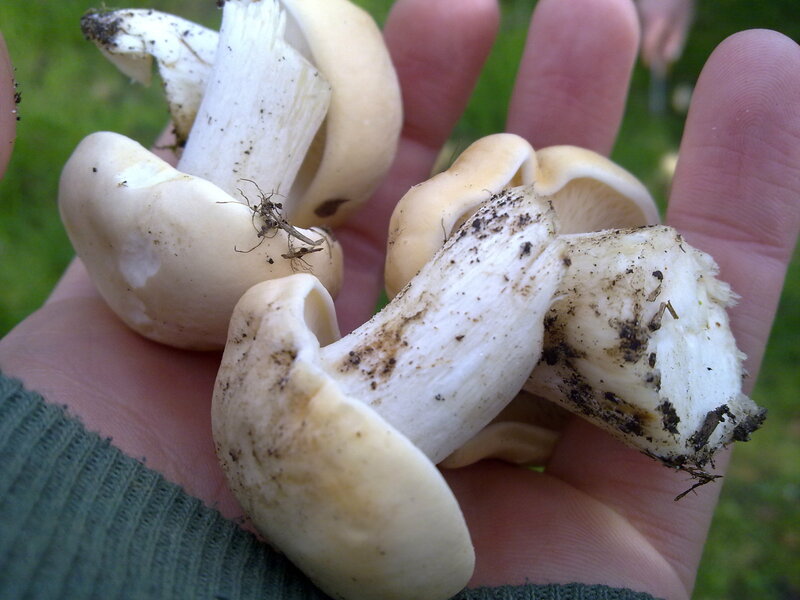 The mushrooms do not need to be washed Just brush the dirt off and remove any foliage or bugs! 6.) 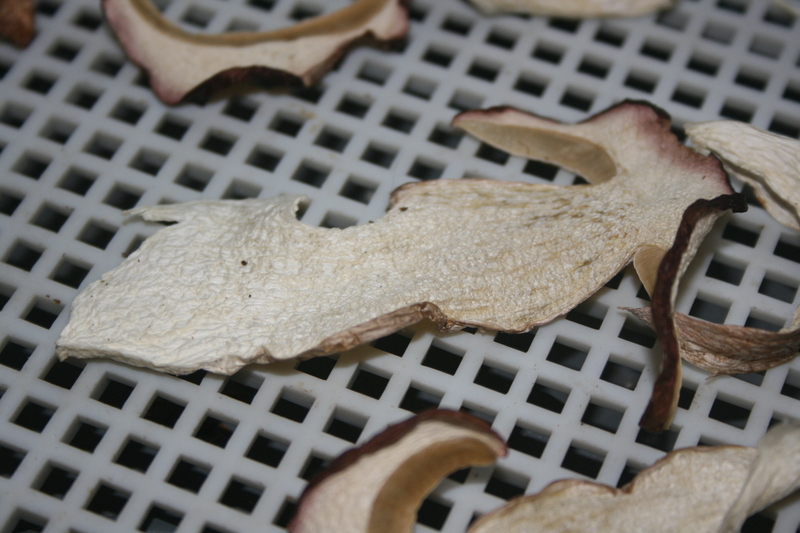 Only collect on days of reasonable weather as Boletes especially will act like sponges and therefore be no good to slice and dry. 7.) Always store in an air tight container. 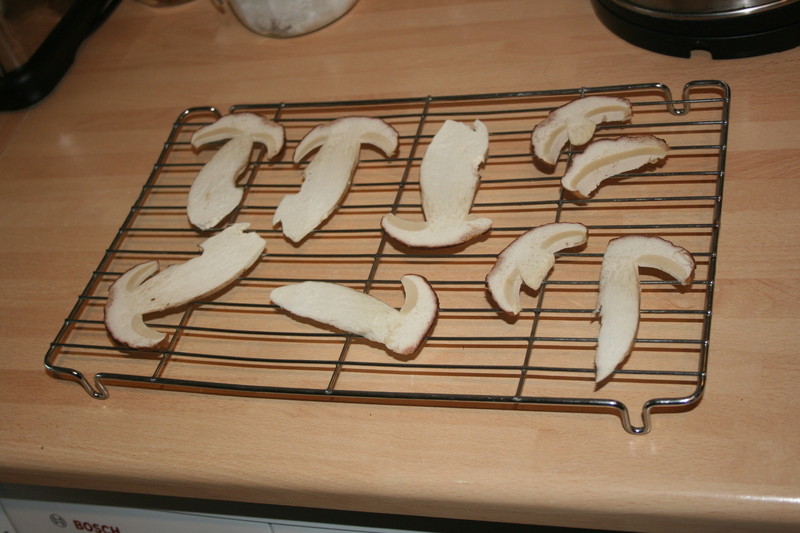 We first started drying small amounts of fungi on cake trays (see below image) and placing them over the radiator. This is a great way to start out! We then progressed to larger stackable trays again to go over radiator. 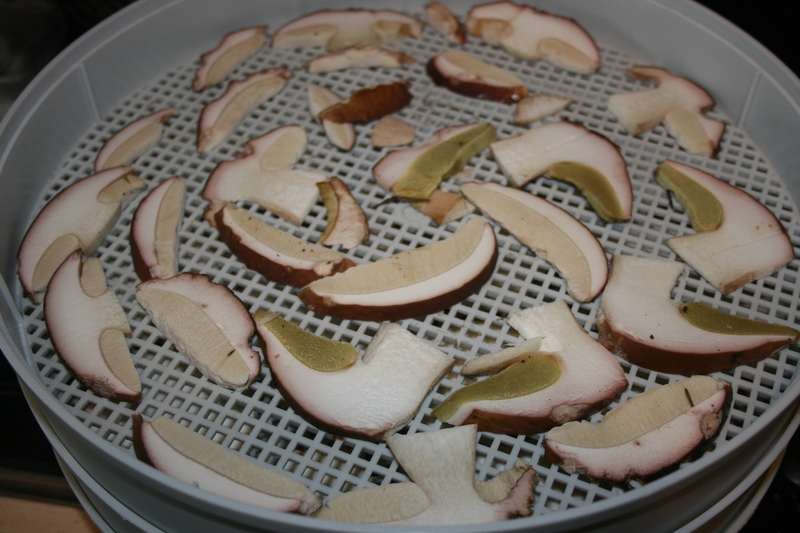 Now we have a 9 tiered dehydrator which is amazing! we can dry loads at once and quickly! 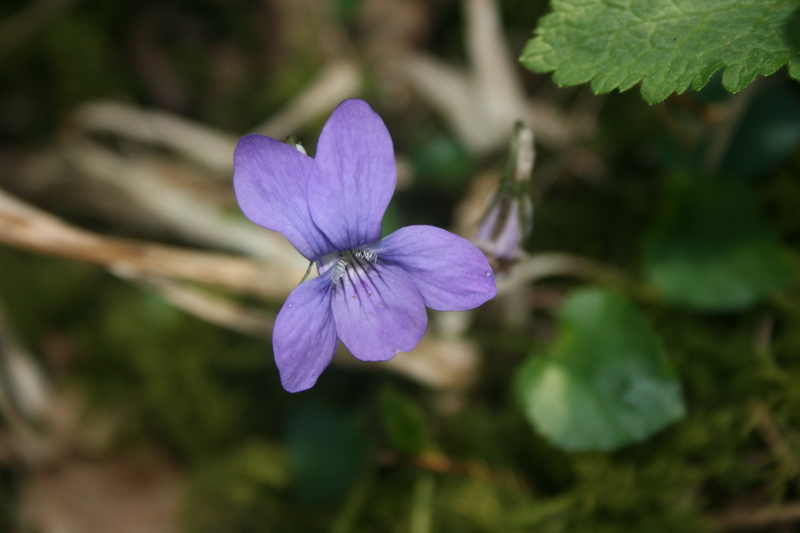 They can often be found on roadsides, hedgerows & along foot paths. The cap measures 5-10 cm, has a velvety texture with dimples. 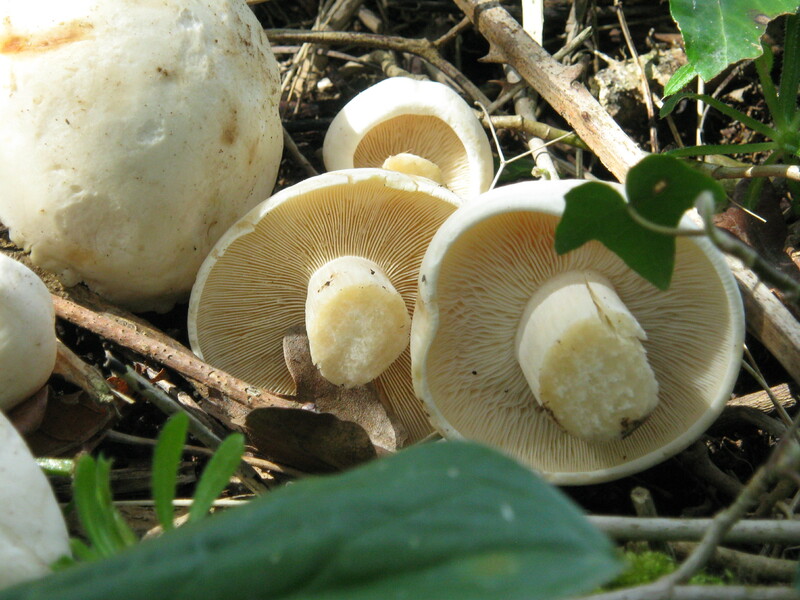 The cap, stem and flesh can be from white to creamy buff coloured. The gills are white and crowded, the flesh is thick and soft and has a mealy smell. 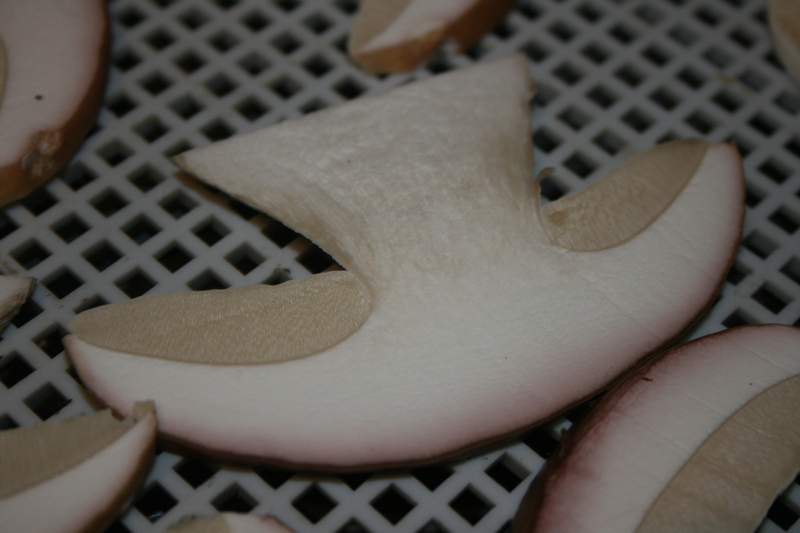 The spore print is white to pinkish white. The stubby stem is bulky at the base. Add the butter to a pan and use to fry the mushrooms for about 2- 3 minutes. Trim the woody ends of the asparagus and add to the pan. Cook on high heat for 4 minutes. Set the asparagus aside then mix the mushrooms with the cheese and season with salt and black pepper. Lightly beat the eggs in a bowl along with the water. Melt the butter in an omelette pan or shallow frying pan and pour in the eggs. Mix with a fork until the eggs begin to set then tilt the pan to coat evenly. Place the mushrooms and cheese on top of the eggs as they begin to set then pour over the cream. Transfer to under the grill for a few minutes so that the surface sets and becomes a golden brown. Add the asparagus spears then fold the omelette in half, place on a warmed plate, garnish with parsley and serve. 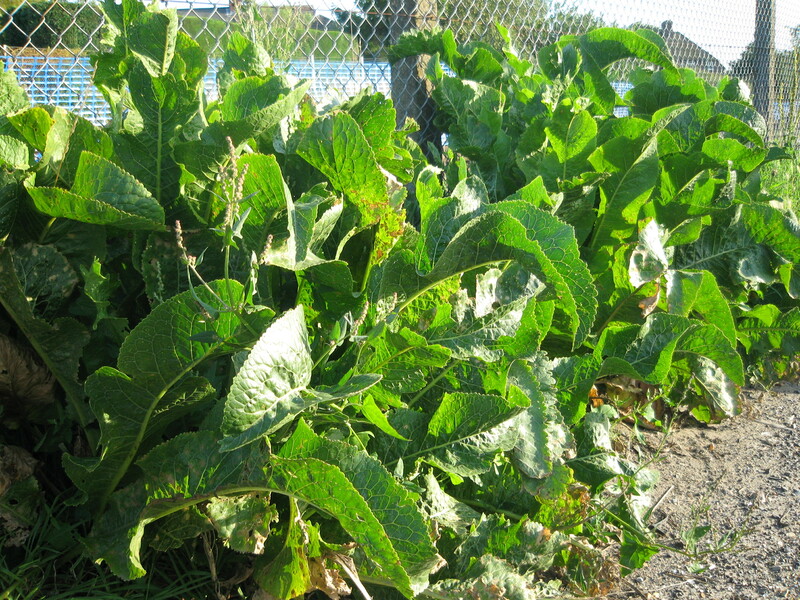 It can be found in fields, sides of roads, almost anywhere really, quite Common on waste ground.It has large leaves, slightly toothed and dock like, growing straight up. If in doubt, dig down and pull the root. It will be not dis-similar to a Parsnip, fairly long but sometimes a bit lumpy, break the root in two and have a smell – you can’t mistake it then. For the syrup: 1/2 pt white vinegar to 1/2/pt white sugar + a little salt. 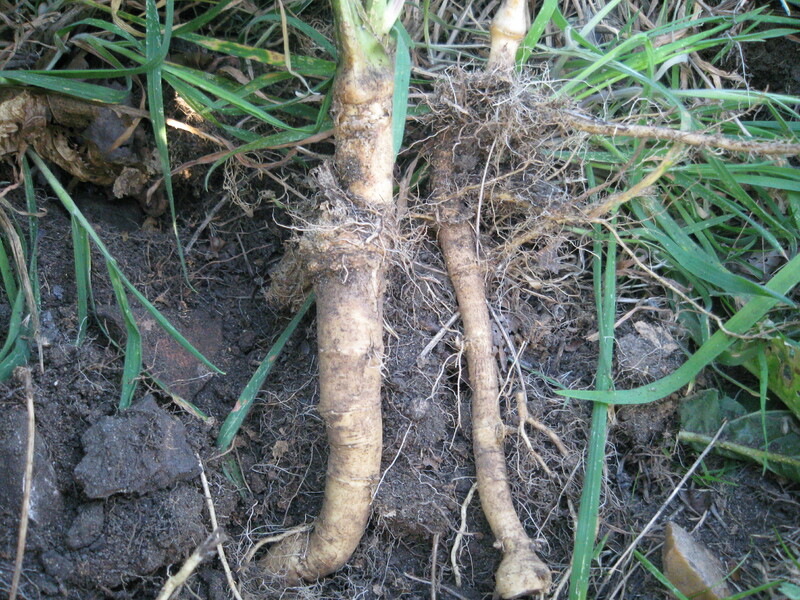 Dig horseradish root .Wash well and peel underwater. Cut up the root roughly and mince. In meantime make the syrup by dissolving the sugar and salt in the vinegar over a low heat. Allow to go cold. Use a wide-neck jar with a vinegar-proof lid. Pack in a little horseradish then add a little syrup – fill the jar in this manner. Make sure it is tightly packed and no air spaces are left. This will keep 12 months or more. To serve: To a tablespoon of horseradish add same quantity of thick cream and extra vinegar to taste. 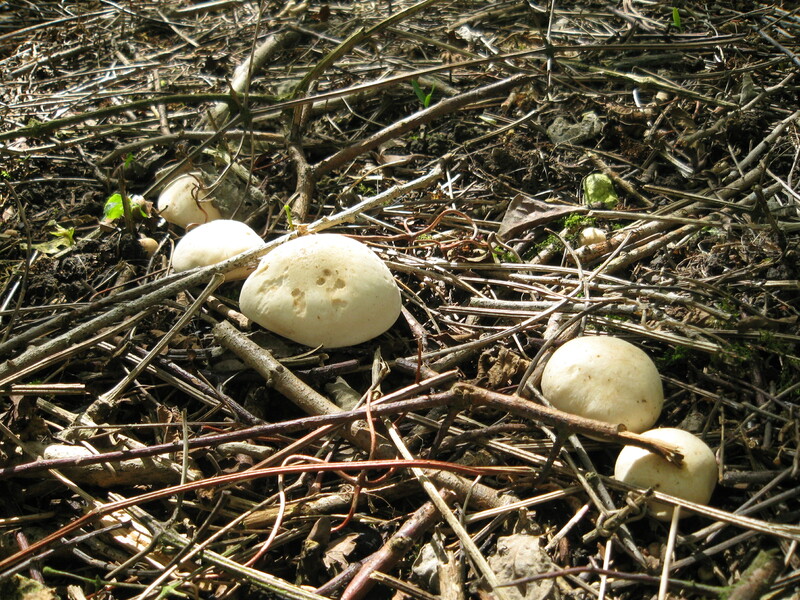 Often found on dead wood in damp, shady places. 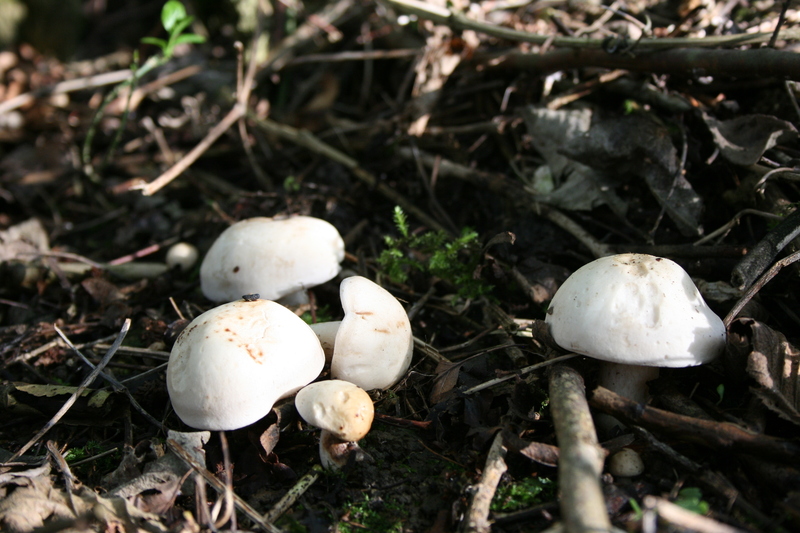 The caps, which are edible when cooked, are usually 2 or 3 cm in diameter but can be as large as 5 cm. 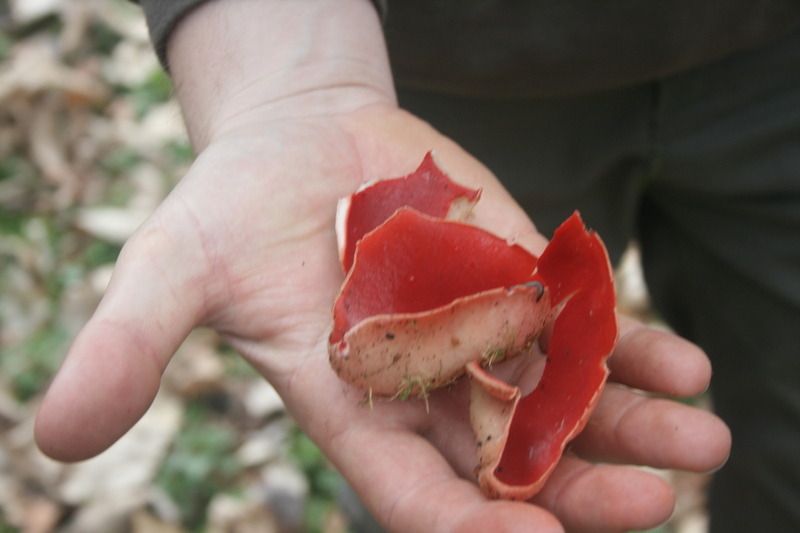 The irregularly shaped cups have a smooth, red inner surface and a much paler felty outer surface. 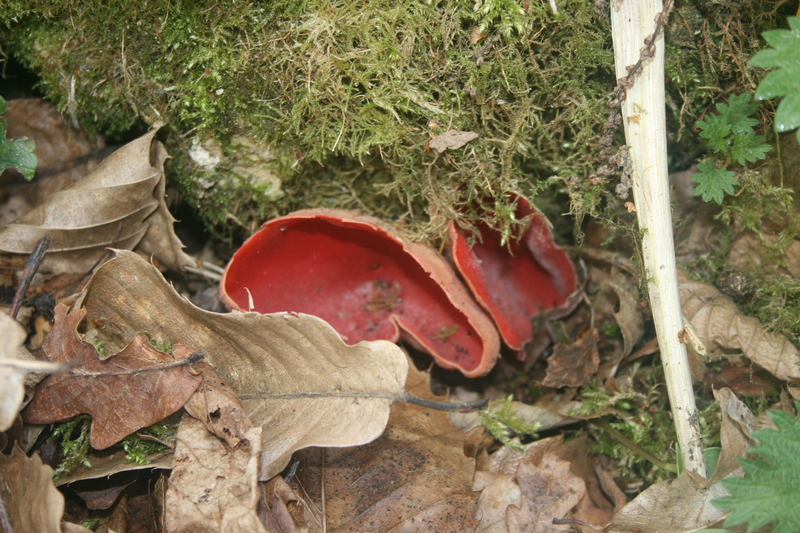 The edge of young cups is usually incurved.There is a very short stipe, often buried in leaf litter, and it is the same colour as the outer surface of the cup. 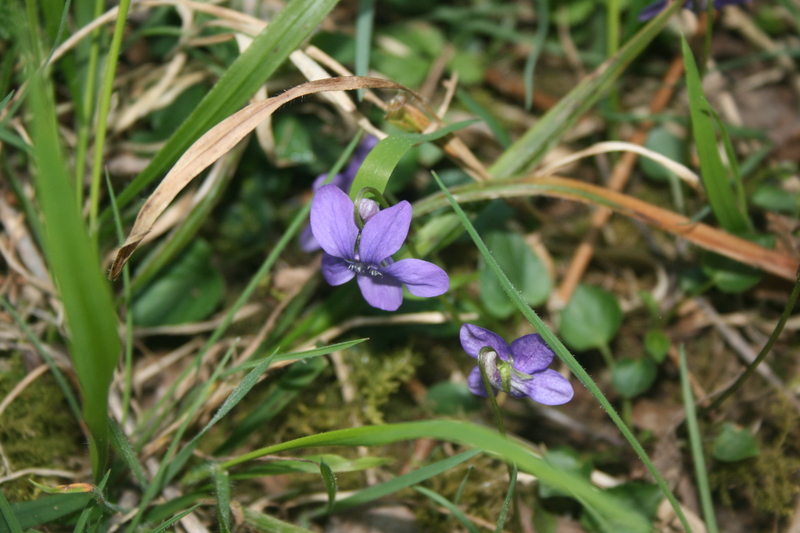 Can be found in woodland or hedge banks, railway embankments. A low hairy plant. 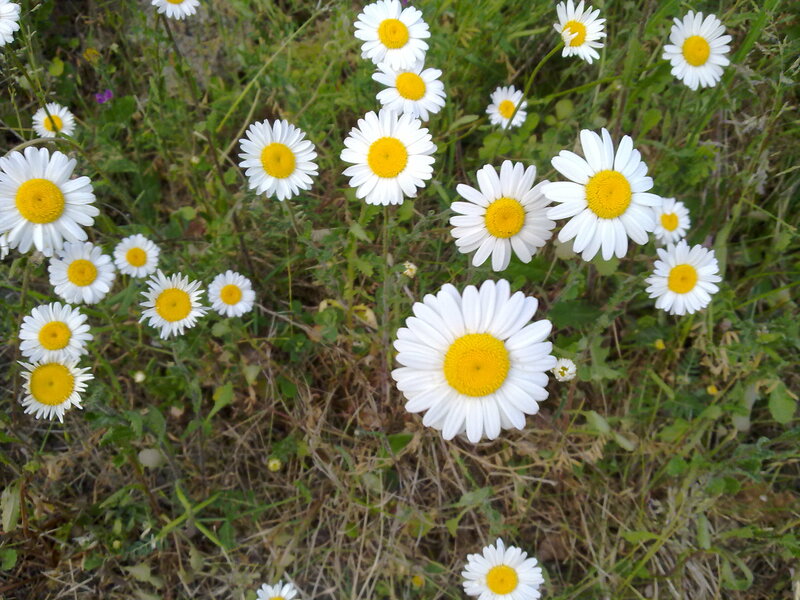 10-25cm high, with crinkly leaves and pale yellow fragrant flowers. March-May. Both flowers and leaves are edible, the flavour ranging between mild lettuce and more bitter salad greens. 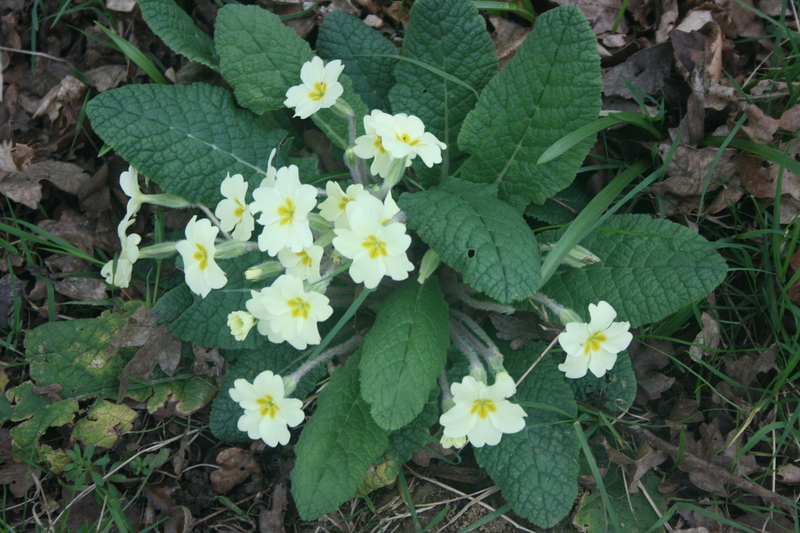 The leaves can also be used for tea, and the young flowers can be made into primrose wine also can be used in salads candied. Whisk together the egg white and rosewater until thoroughly mixed. Take the primrose flowers, one at a time, then use a very soft brush (a paintbrush is ideal) to coat the flower with the egg mix. 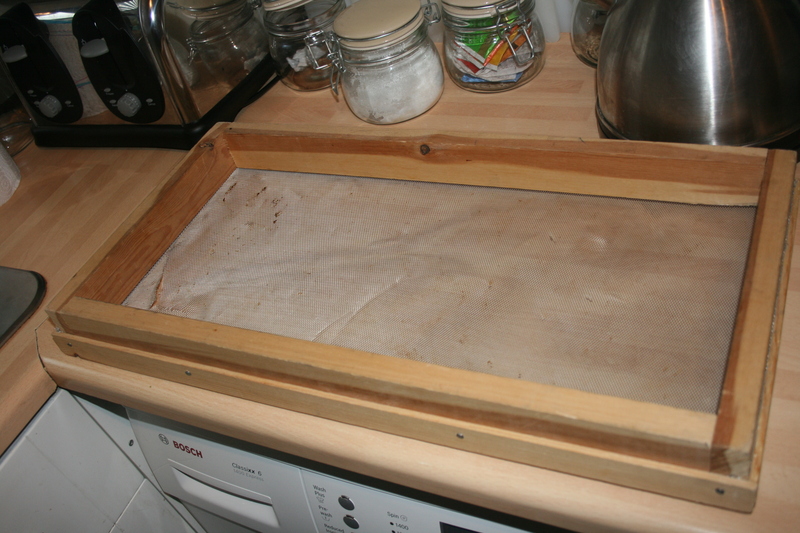 Dip in caster sugar so it’s completely covered then set on a tray covered with greaseproof (waxed) paper and set aside to dry overnight. The following day store in an air-tight jar. Typically they will keep for up to a week. Can be quite common to find in damp heavy soiled copses in the Spring. Cap 2-4cm, olive brown, slightly pitted with rather regular vertical ribs. stem creamy white & hollow. Also known as half free Morel. 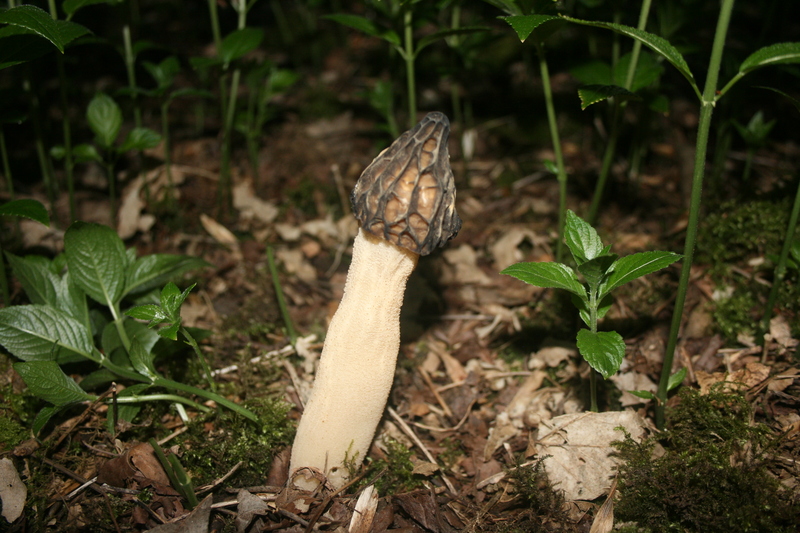 This is one of the simplest morel recipes going, and a great way to enjoy them. Breadcrumbs is preferred as it makes them crunchier. Amounts of morels aren’t listed. Just keep beating eggs and adding more butter to the skillet until the mushrooms are gone, which will be sooner than you want! In a large bowl, roll the morels in the beaten eggs. Make sure they’re fully covered. In a separate bowl mix together the breadcrumbs, salt, and pepper. Dip the egg-covered morels in the breadcrumbs, making sure all surfaces of the mushrooms are covered with the crumbs. Melt the butter in a large skillet on medium-high heat. Fry the morels until they are brown and crispy on all sides. It’s best to do this in small batches, rather than overcrowding your skillet. Repeat until you’re so full that you can’t take it anymore, or until you run out of mushrooms. Paint every crevice of the violet with egg white. You can use a paint brush for this, but as I didn’t have three clean brushes in the house we used cotton buds, which did the job perfectly well. Then sprinkle with caster sugar until completely covered. Place onto a silicone baking sheet or greaseproof paper and leave to dry. 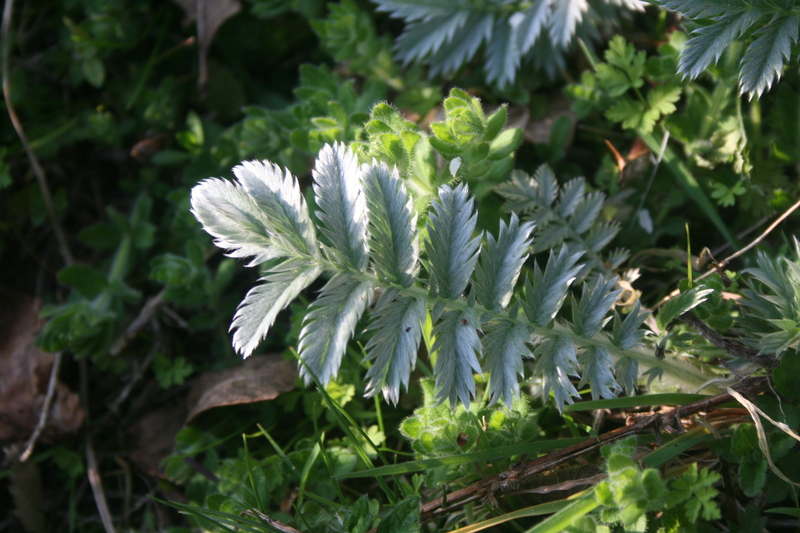 Silvery green in appearance, the leaves have saw toothed edges. Found anywhere with grass – lawns waste ground and recreation grounds etc. 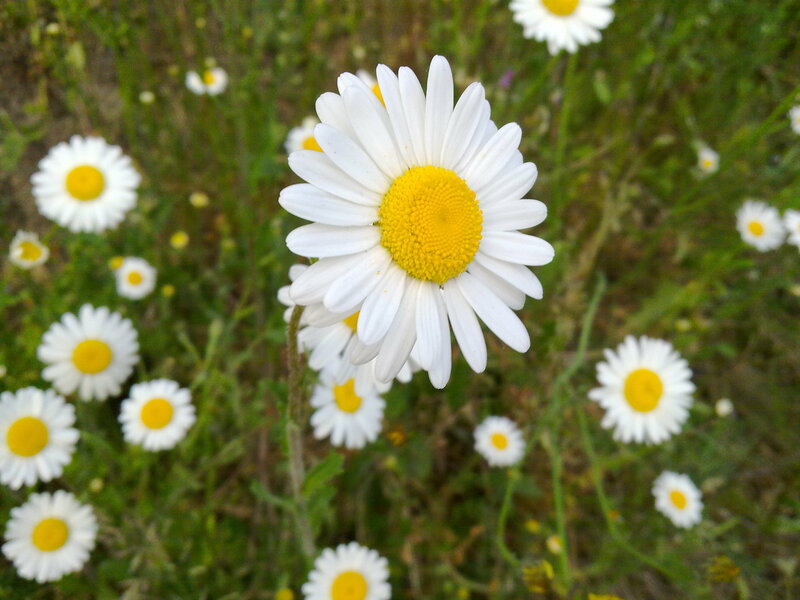 Widespread usually in the summer in grassy places especially rich soil. Erect steams up to 75cm, one flower on each steam, each with a ring of white petals and central yellow button. The un-opened flower buds can be marinatedand used in a similar way to capers. 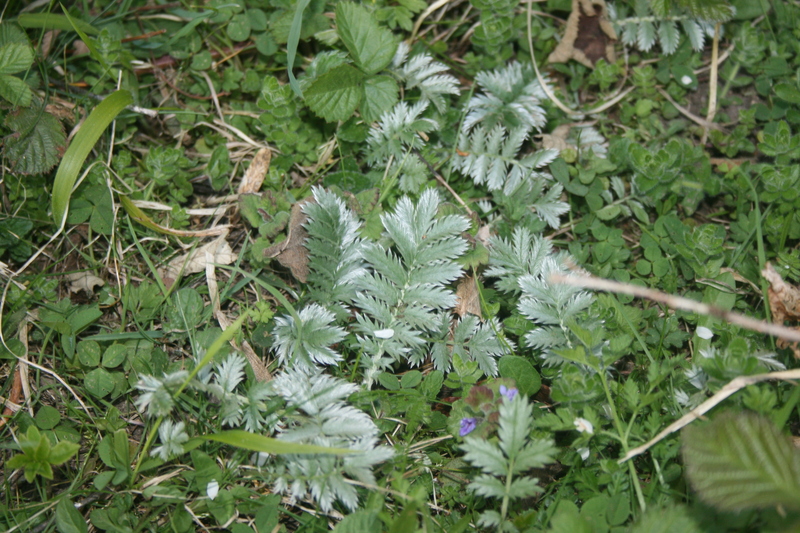 Young leaves can be eaten in salads. Add the vinegar and salt to a pan and heat until the salt dissolves. 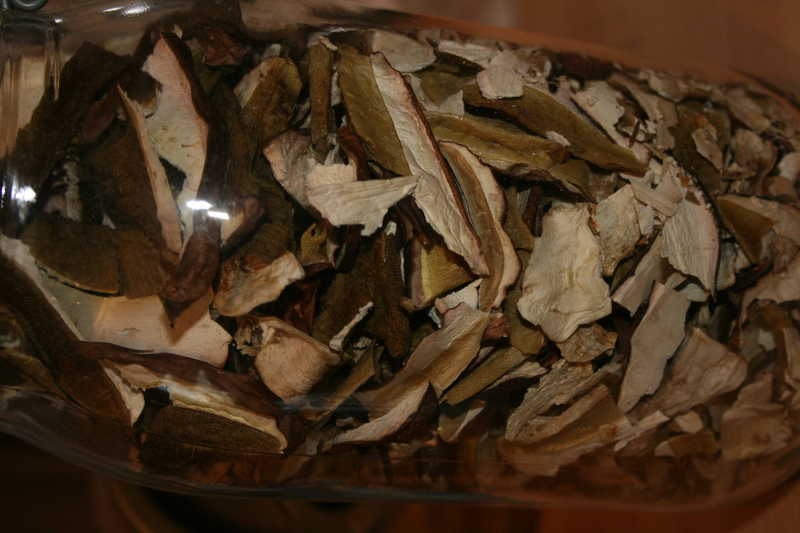 Put the oxeye daisy flower buds in a large jar and top with the warm vinegar mix. Cover the jar and stir every day for a week then transfer the broom buds to a clean, sterilized jar, top with the vinegar mix, seal and store in the fridge for at least 2 weeks to mature before using. These make an excellent replacement for capers and are wonderful on salads. Combine the greens and flowers in a serving bowl. Meanwhile, whisk together the oil, lemon juice and mustard in a small bowl. Add the capers and season to taste then pour over the salad, toss to combine and serve.